A custom today that has reinvigorated the mob is the mafioso ability to win support in the "right circles." For decades, starting with Prohibition and continuing thereafter, the mobsters learned the art and values of the payoff. The mobs always collected "right cops" in their rosters, ones who could do their bidding. 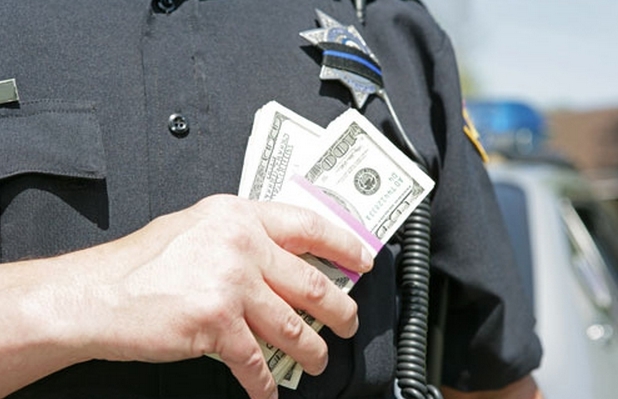 This "networking" of bribe takers has helped the resurgence of the mobs because of the trust inherent in the relationship between rogue officers and mobsters. With the flowering of "other Mafias" popularly thought to be determined to take over the weakened mobs, it created a dilemma for on-the-take officials. The code between wise guys and rogue officers was based on mutual trust, both parties needing the other. Even as the mob came under severe pressure from law enforcement, the residue of goodwill between mobsters and rogues could not be eliminated. With ethnic bigotry coming into play, dishonest officers still felt comfortable only with the devils they previously knew. A dirty cop could trust a wise guy but never a member of the Russian Mafia, the Cuban or Colombian Mafias, Chinese Mafias or, indeed, any other ethnic group speaking languages they could not comprehend. Any deals would have to be handled by longtime mob allies. This dynamic offered the traditional mafiosi the road to salvation, while dooming the emerging new mobsters to mere second-string roles. This mob-style "profiling" has become an important practice in the world of crime. One of the more striking forms of criminal profiling involves the so-called Black Mafia. Rogue cops have long dealt with black racketeers for whom protection could be available at a price—a rather stiff price. Blacks today rant about what they call "Jim Crow racketeers." They can pay the cops directly or through the mob. The latter method on a dollar and cents basis is superior because the protection comes cheaper through the Mafia. Of course, there is a markup for the mob, but still the price is less for black racketeers. The blacks take the deal but still are resentful that they are victims of this special form of racial profiling. Profiling thus has become a lucrative source of profit for the real Mafia.